Every year, there are around 400 new cases of cancer of the spine or brain, these include: medulloblastoma, astrocytomas, ependymomas and oligodendrogliomas. Brain and spinal cord tumours (commonly referred to as central nervous system, or CNS tumours) are the most common solid tumour to occur in children. CNS tumours arise from different types of cells in the brain and are classified according to the cell type and area of the CNS in which they began. Most CNS tumours start in glial cells – the supporting cells of the brain. These tumours are known as gliomas and include astrocytomas, ependymomas and oligodendrogliomas. Another group of tumours arise from embryonal cells. These tumours include medulloblastoma and PNET (primitive neuro-ectodermal tumour). Altogether there are more than 100 different types of brain tumour, most of which are very rare. Tumours classified as low grade (benign) are very slow growing and remain in the part of the brain in which they started. High grade (malignant) brain tumours are likely to be more aggressive and to spread into the brain tissue which surrounds them. This can cause pressure and damage to the surrounding areas. Around 400 children are diagnosed with a CNS tumour every year in the UK – a quarter of all childhood cancer cases. 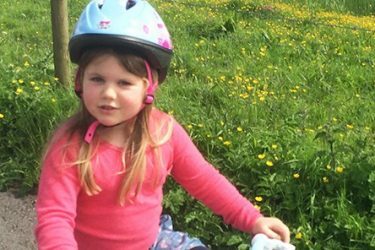 Astrocytoma is the most common type of brain tumour in children, accounting for about 40% of cases (155 children per year in the UK). Around 75% of childhood astrocytomas are low grade. The second most frequent sub-group are the embryonal tumours which account for around 20 per cent of cases (70 cases per year in the UK). Embryonal tumours are more common in early childhood and more common in boys than girls. Most embryonal CNS tumours are medulloblastomas (around 50 cases per year), with PNETs making up most of the remaining cases (around 16 cases per year). Ependymomas make up about 10% of childhood CNS tumours. The overall five-year survival rate for childhood CNS tumours is 75%. However, this rate varies widely according to the type of tumour, the grade (whether it is benign or malignant), the size, and the site in the brain or spinal cord. Low-grade astrocytomas, which account for 30% of all childhood CNS tumours, have a survival rate of 95%. High-grade astrocytomas, however, have a very different prognosis – with five year survival below 20%. A type of tumour called Diffuse Intrinsic Pontine Glioma, DIPG, is considered incurable, with most young patients dying within nine months of diagnosis. Ependymoma has five-year survival of 71%, medulloblastoma 64% and PNETs just 36%. 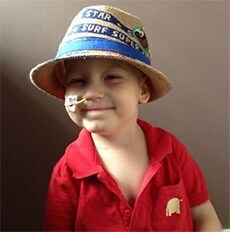 CNS tumours claim the lives of 100 children a year in the UK, one third of all childhood cancer deaths. The symptoms and signs of CNS tumours vary according to the type and site of the tumour. If the tumour is low grade the symptoms come on much more slowly. Babies may present with poor growth and irritability. HeadSmart is a project that aims to enhance the awareness of symptoms of brain tumours in children and young people. Their website provides detailed information on brain tumour symptoms in children of different age groups. If a brain tumour is suspected, diagnosis will be confirmed by a brain scan using CT or MRI. Further investigations will be carried out to ascertain the type of tumour and determine the best course of treatment. Treatment will vary according to the precise type of tumour, its grade, position and the extent to which it may have spread. Doctors will carry out a range of tests in order to obtain this information, including taking a biopsy and the use of a CT or MRI scan. The main treatment for most CNS tumours is surgery (if feasible). If a tumour cannot be completely removed surgically, or if there is a chance that some cancer cells have been left behind, radiotherapy may be given afterwards. Radiotherapy may also be used as the main treatment if surgery is not possible, however it is usually avoided in children under the age of three years, as there is a greater risk of harm to the developing brain. Chemotherapy is used routinely to treat medulloblastoma and is increasingly being used to treat other types of brain tumours. It may also be used in situations where the tumour cannot be removed completely with surgery. The child may be given steroids. These do not treat the tumour but can improve symptoms by reducing the swelling that often surrounds brain tumours. Anti-convulsants may also be given to prevent fits. Other possible treatments may be considered such as proton therapy (a form of radiotherapy). Higher doses of chemotherapy which kill the bone marrow cells as well can be given but with stem cell rescue (stem cells are collected prior to the treatment and given afterwards). These problems are temporary and can be minimised with good supportive care. Treatment can also cause long-term effects, outlined under Follow-up below. Children will have regular follow-ups to monitor their progress, to check for any signs of relapse and for any problems that may arise as a result of the treatment they have received. 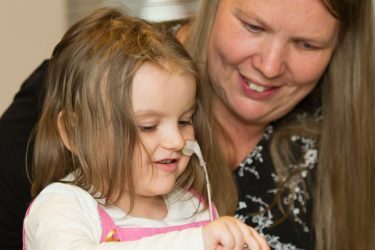 Treatment by surgery, radiotherapy or chemotherapy may affect a child’s physical and intellectual development. The risk is greater in children who are very young as their brain is growing quickly. Thus it follows that different treatments may be recommended for children of different ages. The possible risks of any treatment given will be explained by the child’s doctor before treatment begins. Relapse means that the tumour recurs, either in the same site as the original tumour or in a new site. Both benign and malignant tumours can recur. It is therefore important for the child to have regular follow up appointments and MRI scans. Dylan’s symptoms started in early April 2014 with a random vomit at nursery. A few days later he threw up again. No warning, no other symptoms and he hadn’t over-indulged or been particularly energetic. He proceeded to deteriorate over the coming weeks. What threw us was that he only complained once or twice a day for 5-10 minutes and then he was absolutely fine again. Then the frequency and severity of these episodes increased, I contacted the doctor and was seen straight away. We were transferred to the hospital where he appeared to be the healthiest child in A&E. They ran countless tests and they all came back negative. The following day they broached the subject of discharging him and seeing him as an outpatient, something we refused. An MRI scan was arranged to rule out anything sinister. At around 6.30pm on a Friday in early May, we were told the results were in. What followed was the worst conversation of my life. The doctor said the results showed brain and spinal tumours. One was the size of a golf ball in our little boy’s cerebellum. Dylan needed surgery. Surgery that was so dangerous that he may not survive it. If he did survive he may be left with permanent disabilities, unable to breathe, talk, think. Fortunately, the surgery was a total success with the brain and spinal tumours being removed, Dylan was back on his feet in no time. Then chemotherapy started. Dylan would be treated every other week for the next 30 weeks. Dylan’s hair fell out almost overnight and soon after he lost his first Hickman line to an infection. Dylan’s protocol ended on Christmas Eve 2014 but unfortunately, in February a scan showed that the cancer had regrown and spread at an alarming rate. He needed another year of chemotherapy and finished the treatment around the 12th of May 2016. 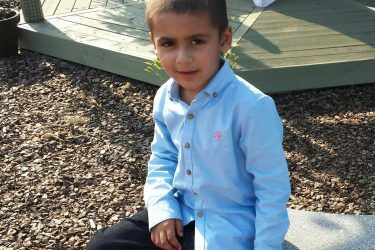 Dylan is now five years old and is doing really well, he is happy and has started school. 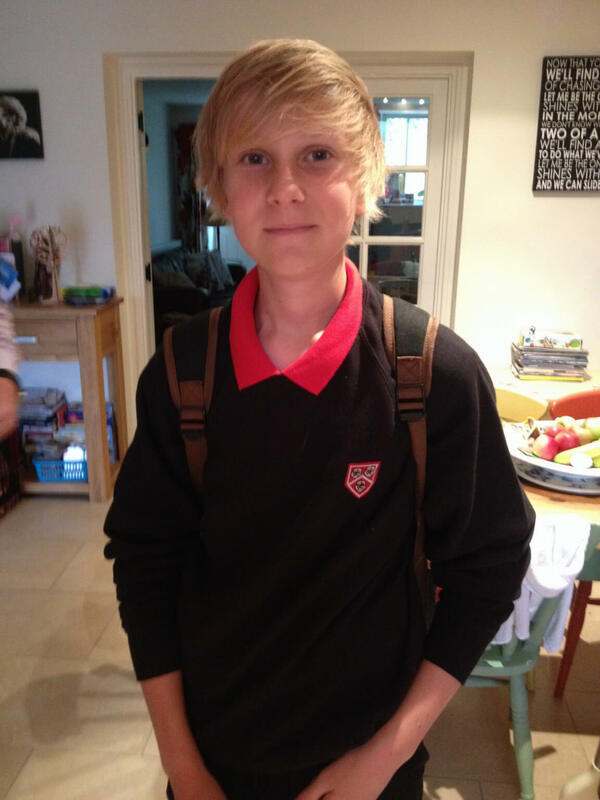 He is currently in the same school as his older brother. They’ve been great and has supported Dylan with his education. We try to keep him busy by going to a martial arts class to help with his balance and he’s is healthy considering his complications. 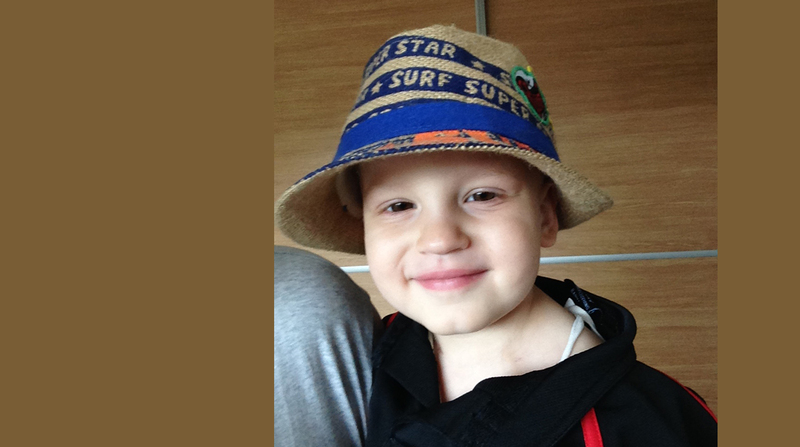 If you’ve been touched by Dylan’s journey, help us invest in the high quality research that really matters which would otherwise go unfunded, helping to support children with cancer so they can be with their families for longer. 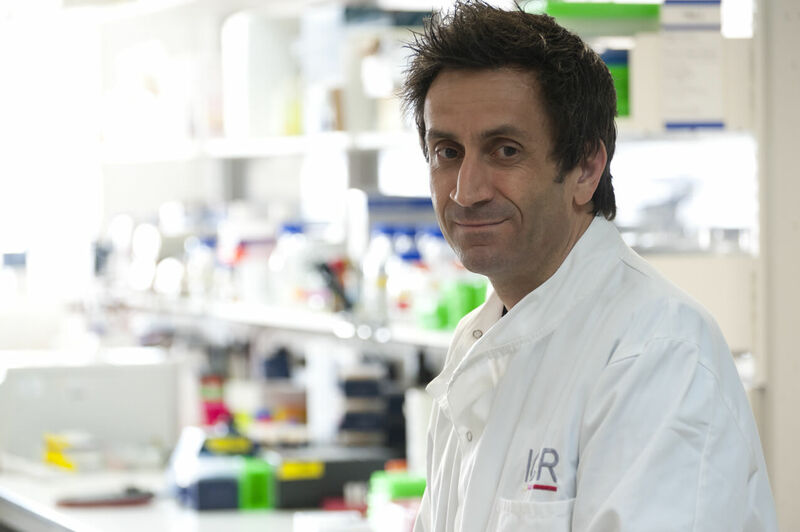 One of the biggest problems with brain tumour research is finding a way to get the drugs that can help into the brain where they’re needed. 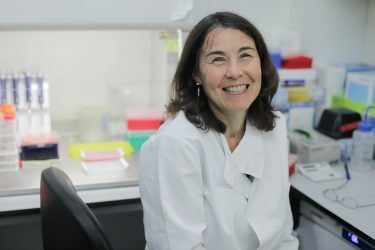 Find out what Children with Cancer UK is doing to tackle childhood brain tumours in this video.